Can Automatic Watches Last Forever? Many people are curious to know whether their automatic watches will last forever. The truth is that under good care, the timepiece can last for a long long time. In fact, it’s not strange to hear of people having owned the same watches for several decades. So, what affects the longevity of the watch? The watch’s mechanism can be damaged by magnetism. It will allow the gears to run slower or faster and this interferes with it’s functionally and lifespan. Experts advise minimizing contact with devices that have magnetism. These include speakers, mobile phones, tablets, and electric motors. In case the watch has been in a magnetic environment, a watch specialist should be able to demagnetize it. While most top watches will combat moisture, sweat, rain, and water well, it’s always advised not to make it a habit. The watertight seals may become weak over time and this will let in moisture/water. This may lead to a misty/cloudy dial/face. There is also the risk of the sensitive parts rusting/corroding and eventually breaking or coming apart. Setting the date and time should be done as stated by the manufacturer. Doing it the wrong way may put unnecessary strain on the gear mechanism and this shortens lifespan. Some watches will engage from 10 O’clock and will stay engaged up to 2 o’clock. Trying to set the time or calendar using the quickset option may exert extra pressure and friction on the mechanism. It’s also important to know the exact point of the crown to prevent winding the watch while it’s partly engaged. Winding the automatic watch is necessary for certain instances. However, you shouldn’t do it too often as this may weaken the internal mechanism. If you don’t plan on wearing a watch any time soon, then it makes little sense to regularly winding it. Also, you don’t need to wind several watches at the same time using a watch winder yet you only wear one. 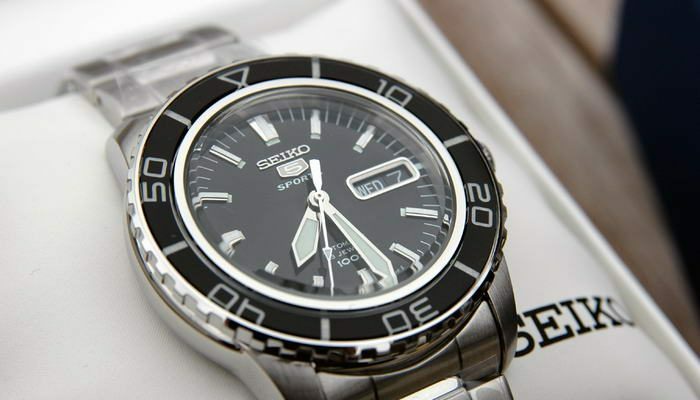 Many top watches have good waterproofing capabilities. Some will function in water as deep as 100meters/ 330 feet. However, exceeding the stipulated limits not only increases the pressure or strain on the watch but also makes it more likely for water to enter. It’s critical not to exceed the stipulated depth. Also important is making certain the crown is fully locked/ pressed in before venturing in water. As you can see, the durability of the watch depends on how well you take care of it. It’s all about avoiding the above negative aspects and also taking it for professional service after 4-5 years. Treat it properly and it will serve you for a very long time.